Pinot Nero Wine tasting from Alto Adige region! You must be a member of the Milan Casual Drinks Group to attend this activity. Would you like to join this group? An exclusive selection of 4 excellent Italian Pinot Noir wines are being served to you with some pieces of ‘focaccia’ and cold cuts. All the wines from Trentino-Alto Adige region! 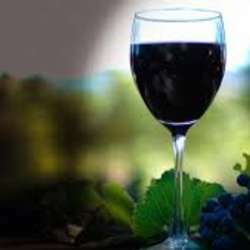 The wine tasting consists of a 2-hour-event led by a professional wines taster member of O.N.A.V. (*) in a cozy location; it will be an enjoyable basic lesson of tasting concerning some quality Italian wines in a friendly atmosphere! The glasses for the tasting will be prepared for you; the wine glasses’ rent is free of charge, so you do not need to bring any glass with you. A data sheet of the wines is being given to you. PLEASE CONSIDER THAT SIGNING UP IN THE EVENT LIST WITHOUT ANTICIPATING 15€ IS NOT CONSIDERED VALID FOR ATTENDING THE EVENT. - The anticipated fee of 15€ will be refunded only in case of cancellation of the event. - People not in the list will not be accepted to the event. - The activity is led in Italian. - There are limited available seats (‘First come, first served’). The event list can be closed at any moment. -The activity could be deleted in case of a certain number of attendees is not reached by the 16th of February. - If you need any additional information please send a private message.